The Montgomery County Democratic Committee exists to elect top quality candidates for county, state and federal offices. The committee is also responsible for conducting the business operations of the Party at the county level, including determining the methods of electing our Democratic candidates and overseeing the county budget and expenditures. ​We hold regular meetings to which all Democrats are invited as well as training seminars and informational sessions. In addition, we participate in neighborhood fairs and festivals and hold several social events during the year. 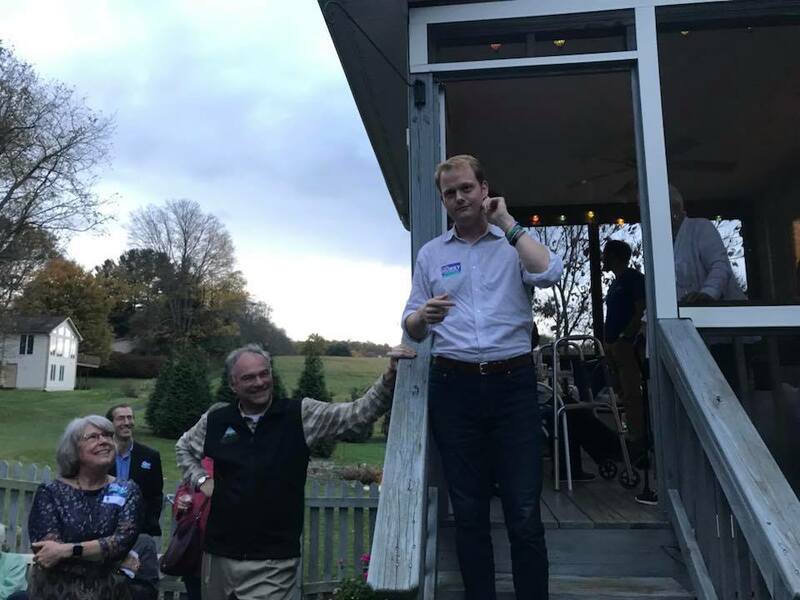 Since every year is an election year in Virginia, we have to start early and work diligently and cooperatively to ensure victory for Democrats. As was shown during the 2017 election, a strong local organization can be the difference between winning elections and losing them. Please lend your talents and your time to our local Party efforts so that we can keep moving Montgomery County, Virginia, and the country forward. Joining the MCDC provides an amazing opportunity to not only make a difference in your community, but also work with a wonderful group of like-minded people. Economy – Support for jobs, industry development, coal economy solutions; infrastructure investment; livable wage; pay equality; broadband expansion, especially to rural areas. Education – Support for public education, including early childhood; emphasis on critical thinking; increased teacher salaries; free vocational education and community college; support for STEM, especially for women and minorities. Energy and Environment – Support for green spaces; safeguarding the EPA mission; clean air and water; land conservation/land use planning; recycling; climate change science; beautification/green space preservation; alternative energy, including community-owned renewable energy grids. Equality – Opposition to racism and xenophobia; support for more diverse leadership; racial/LGBT/gender equality. First Amendment Protection – Fight for freedom of the press; separation of church and state; religious freedom. Gun Safety – Advocate for common-sense gun laws, Second Amendment reform. Health Care – Universal health care, including access to affordable care, especially in under-served areas; Medicaid expansion; reproductive rights/family planning; mental health parity and access to services; treatment for opioid and other addictions. Immigration – Uphold rights of immigrants and refugees and support them in our communities; comprehensive immigration reform. Political Reform – Accountability and transparency; increased vetting of candidates; more diverse representation, including by race, gender, and age; campaign finance reform. Voting Rights and Reform – Fight voter suppression; improved voter education; expanded voting opportunities; redistricting reform; increasing voter turnout.